Being homebound means I get to go to my favourite restaurants in Hong Kong! Bistro du Vin is one of my all-time favourite French bistros. The rustic Parisian decor at Bistro du Vin is warm and welcoming, the restaurant is dynamic, lively and designed (for big group) to have a fun time while enjoying sumptuous food. Staff are friendly and knowledgeable, we are very well taken care of by manager Rena. For a small restaurant, Bistro du Vin has a very extensive menu, make sure you check out their specials on the board. While the entire menu is irresistibly delicious, my personal recommendation of starters are escargots on bone marrow and pan seared foie gras with cameralized gingers. 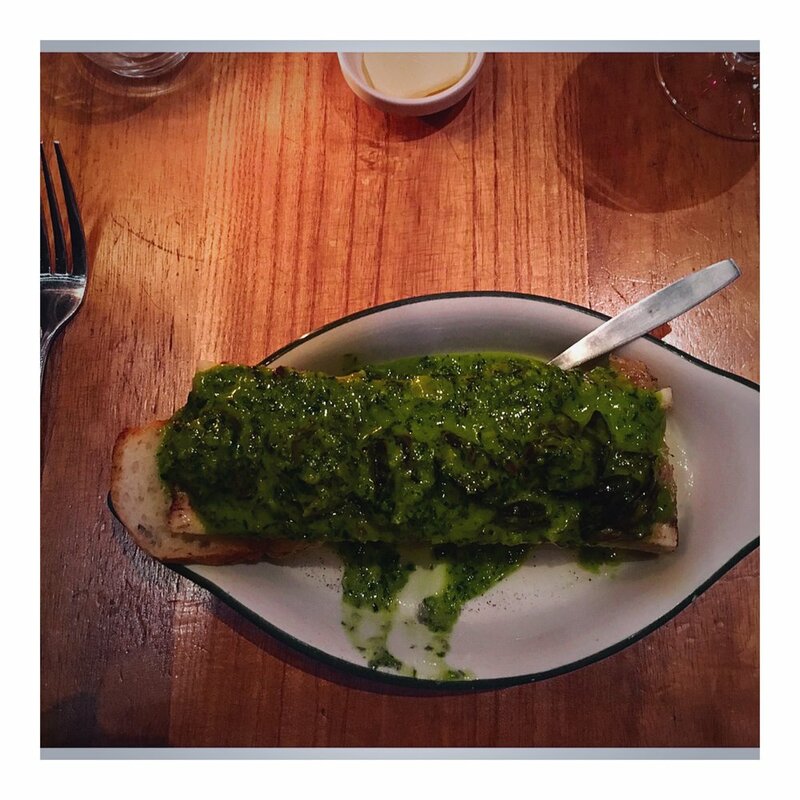 Escargots and bone marrow perfectly match the creamy pesto sauce and foie gras is seared to melt in your mouth. Mussels would be another delicious appetiser to share if you love seafood. For main course, you should definite try the suckling pig and duck confit, both are cooked beautifully with crispy skin and tender meat, a glass of Leroy Bourgogne Rouge 2003 would compliment both dishes very well. The portion is generous, we are usually satisfied after main course. Wine at Bistro du Vin is French-focused, but the restaurant is also BYO. You can either order at the restaurant or bring a couple bottles of fine wine to compliment the robust and flavourful cooking. My friend Maria from The Gushing Lush is a huge wine connoisseur, her passion for wine means we get to sample the finer vintage, her Instagram account causes wine-envy! A two course dinner for two at Bistro du Vin would average $1,200, presuming you bring your own wine. It is a treat for all who simply love good food and drink.